With your recent comments on gold; you seem to be implicitly suggesting people to sell their gold, since there is a good chance for it to bottom-out at a sub-$1000 level. Wouldn’t it make far more sense to hold onto it at least till November? 3) The gold accounts without physical holding/delivery go unaccounted in the total global demand for gold. 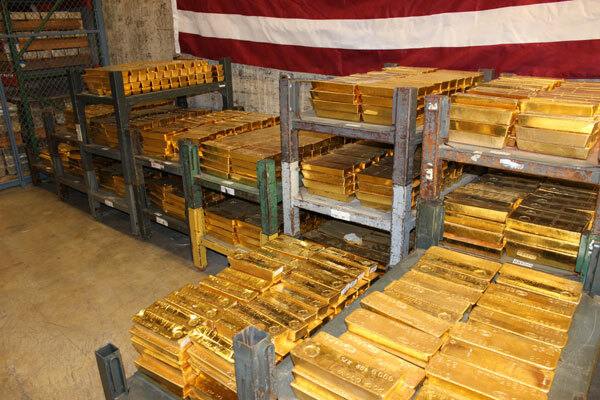 REPLY: It is irrelevant whether or not there is gold in Fort Knox. The chance of anyone in government admitting to such a fact is at ZERO. Most of these scenarios are meaningless. It all depends simply upon the overall belief in government by the masses, not those predisposed to buy gold, for they will believe anything that supports a predisposed bullish bias. The question as to what to do if you hold physical gold is a separate issue from “investing” in gold. Sure, I own $20 gold pieces and give them as gifts to the children in the family on their birthdays. That is really for Plan B. My concern is not with such physical basic holdings that you should have a hedge; my concern is when the gold promoters tell people that ONLY gold will rise and everything else will crash and burn. That is the snake oil fraud, which has no support in history whatsoever. If we as a civilization self-destruct because of the greed of politicians and go all the way to a Mad Max event, then even gold will have no value. A complete control-alt-delete reboot would reset the stage and the only thing of value would be food. Not even gold would have value for historically it only came to have value as a luxury, not for a practical utilitarian purpose. It is sheer madness to have gold as your total portfolio investment. If you have some gold and it is a VERY SMALL proportion of your net worth, fine, but ask yourself the question: Can you survive a drop to the Yearly Bearish Reversal lying at $681? That is your max risk so that is what you must consider. Otherwise, you will panic at the low and will have no other choice but to sell everything. Then when a rally begins, you will not be there. An experienced trader who survives NEVER enters a trade without knowing where he is right and where he is wrong. If you keep making excuses for losses and hold your position all the time, you will lose your confidence and conviction and never see the light of day. That is a fool’s game and anyone who advises that is by no means an analyst. The BUY & HOLD advice applied to stocks, gold, silver, etc. has NEVER been correct. You may have bought gold when it broke $1,000 on the upside before 2011. Nice, but did you sell when it came close to $2,000? If you did not sell, then you are in danger of enduring losses you perhaps may not be able to withstand. The gold bugs believe only in gold and cannot see reality. There is nothing wrong with selling at $2,000 and buying twice as much at the low. Anyone who argues against such a strategy is a promoter whose advice you should not take. Such a message is that no one can forecast anything, so just buy and you will eventually be right like some broken clock twice a day for a second. That sales pitch ruined stock investors during the Great Depression. Is your family’s survival worth such a fool’s game?